Solar and wind energy is generated via solar panels and wind turbines. These are examples of renewable and clean energy. In the Philippines, there have been recent operations of new solar power plants and of course wind turbines in Ilocos and even Pililla, Rizal. These represents thrusts in obtaining power via clean and renewable energy. A necessary component of these are batteries that store these energies. In the domestic end where there are homes that off the grid or are partially powered by solar energy, the power storage component is also a big part of the system. We all know that batteries are subject to a definite lifespan and would be changed in a regular schedule. These conventional batteries also need regular replacement and must be environmentally friendly even when still in operation. Clean energy should be stored in clean batteries. Aquion Energy's patented Aqueous Hybrid Ion technology is a unique saltwater battery chemistry made from abundant, non-toxic materials. These batteries contain no heavy metals or toxic chemicals and are non-flammable and non-explosive, making them the cleanest and safest batteries for your home or business. Aquion Energy's saltwater batteries are the first and only in the world to be Cradle to Cradle Certified. This new battery runs on saltwater and can power your home for nearly 10 years (3000 days/nights). 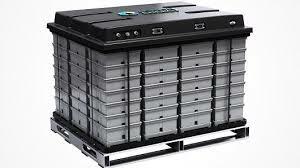 The Aquion batteries are safer for the environment, they are also non-flammable, non-hazardous, and non-explosive, unlike traditional lithium-ion or lead-acid batteries..